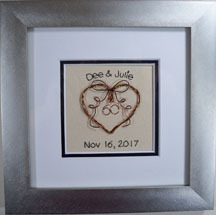 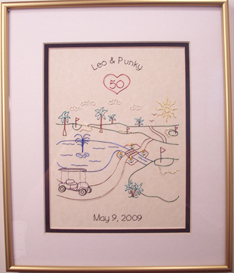 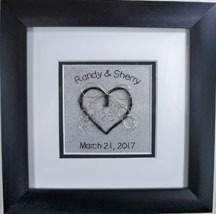 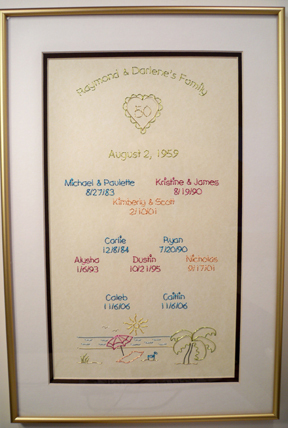 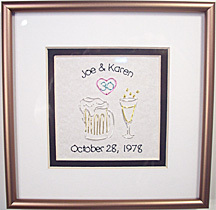 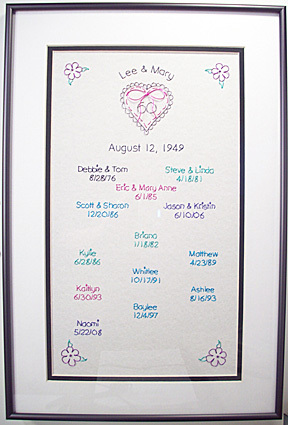 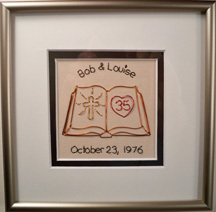 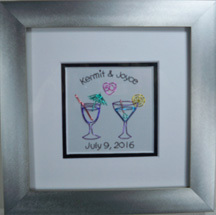 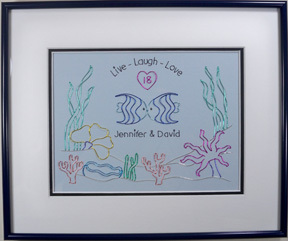 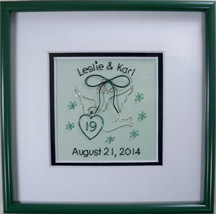 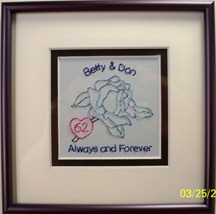 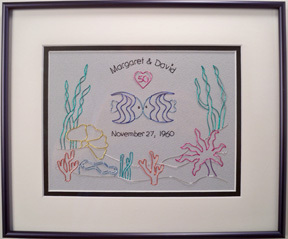 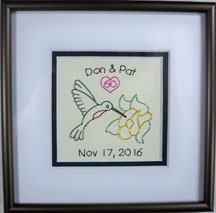 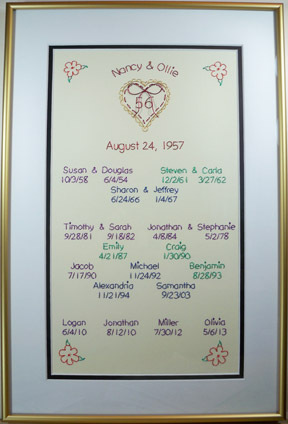 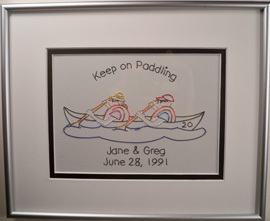 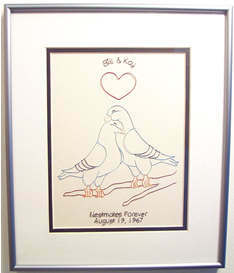 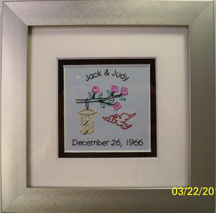 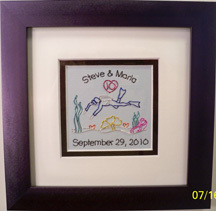 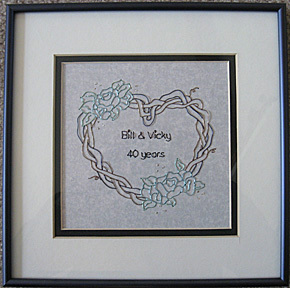 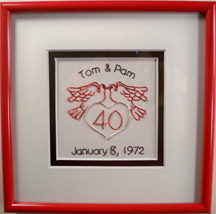 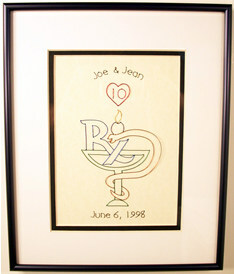 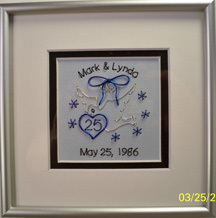 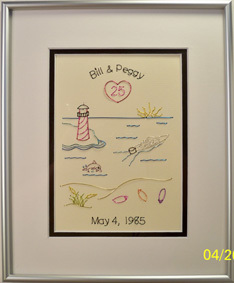 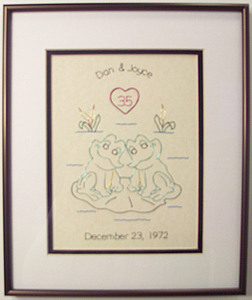 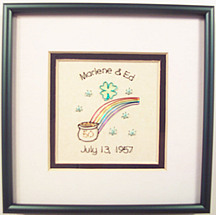 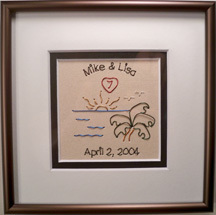 Anniversaries - The standard anniversary picture is the ruffled heart with the number of years of the anniversary inside the heart. 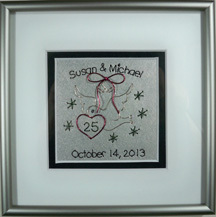 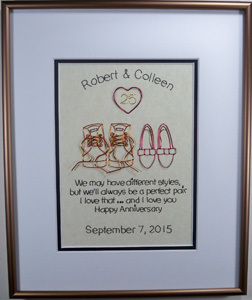 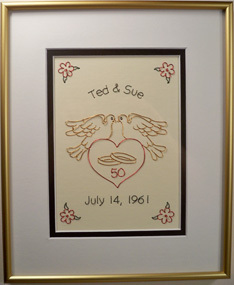 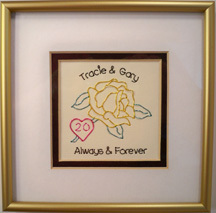 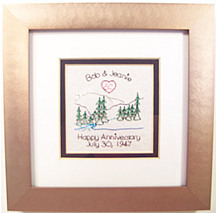 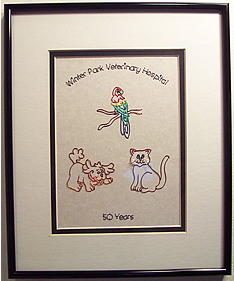 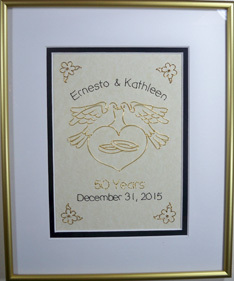 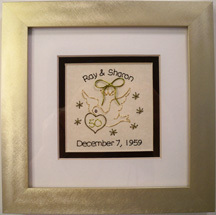 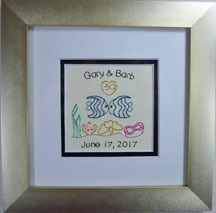 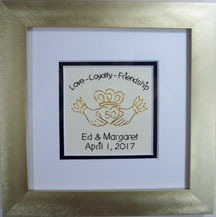 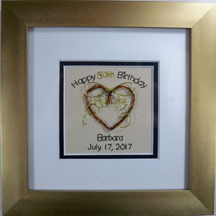 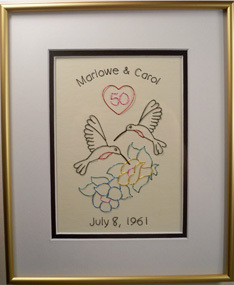 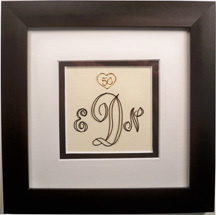 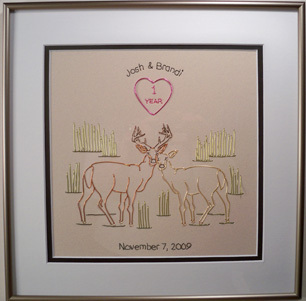 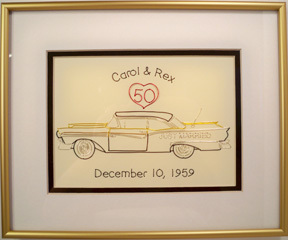 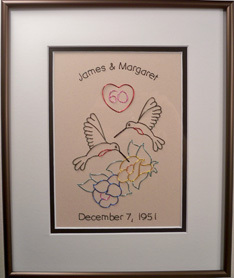 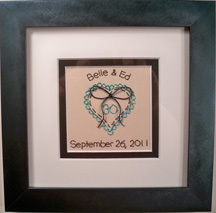 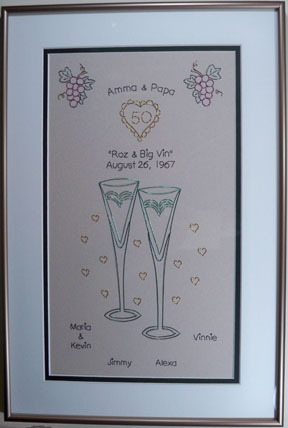 Traditionally, the gold heart and gold frame are used for the 50th anniversary and the silver heart and silver frame for the 25th anniversary. 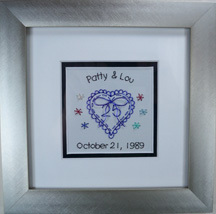 The bow and ribbon on the heart can be any color. 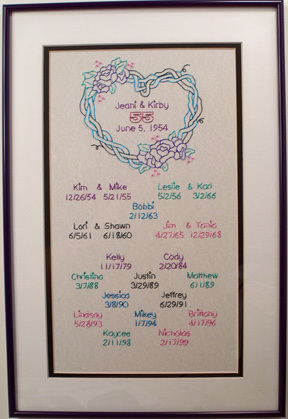 Below are some ideas.